And no more iPhone 5C? While rumors of 4-inch iPhone 6C have persisted over the last few months, a new report indicates that we won't be seeing it at Apple's iPhone launch event on September 9. Sources speaking to 9to5Mac say that while Apple is working on a plastic handset that will have the capabilities of the iPhone 6, the iPhone 6C won't be ready to ship this year. It isn't the first time we've heard rumblings of a 2016 launch for the smaller handset, with a report a month ago suggesting Apple would hold off on launching it until the second quarter of next year. But the continued rumors do make us believe that Apple won't be letting the plastic design go, especially as it may have even leaked the iPhone 6C itself back in May. 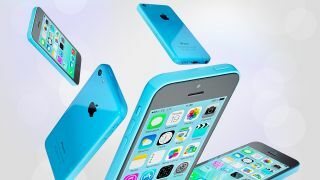 Meanwhile, it looks like a delayed iPhone 6C launch won't stop Apple from discontinuing the iPhone 5C completely, which is currently only available in an 8GB model. The same sources told the publication that you will no longer be able to pick up the disappointing iPhone 5C after Apple launches the expected iPhone 6S and iPhone 6S Plus next month. For those who still want to buy a 4-inch iPhone, the sources said the iPhone 5S will still be available for sale, as will the iPhone 6 and iPhone 6 Plus after the new 'S' models launch.